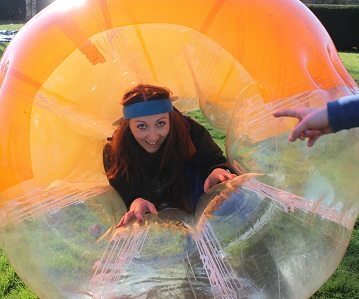 Join us for a mixture of incredibly fun team games and take part in our ‘Zorb-Olympics’. 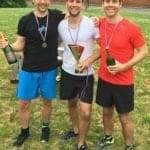 This event is all about the fun. 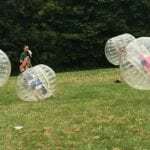 Teams will take part in a mixture of activities with our ‘Zorb-ball’ activity being the most popular. 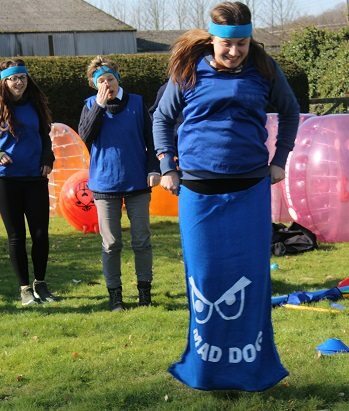 Teams will bump, roll and laugh through a truly hysterical event. 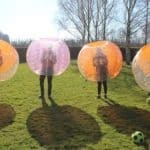 Strap yourselves into your own one man body zorb and split off into teams. 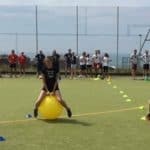 Rather than tackle, use the more effective barge to win the ball off your opponents sending them flying in the process. 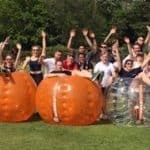 Our ‘Zorb-ball’ challenge will certainly create memories as teams run around bumping and crashing into the appointments creating a hilerious and unforgettable team game. 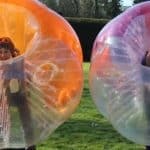 Other exciting bubble games will conclude your ‘Zorb-ball’ session before moving onto the next activity to complere the ‘Zorb-Olympics’. Prices vary depending on the number of participants and location of the event, please contact us for a bespoke price for your group. 1. 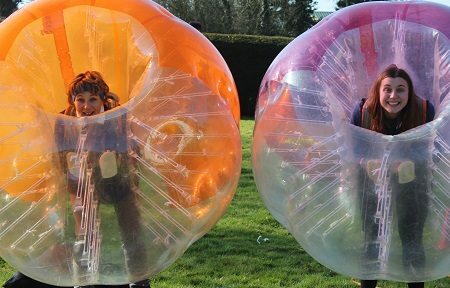 Zorb-ball – Zorb-ball is a game like no other. 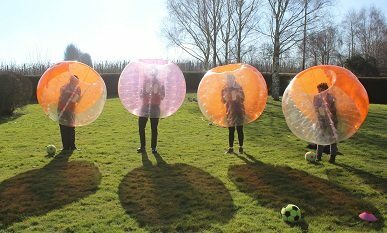 We gaurantee this activity is as crazy as the name suggests, with the use of our giant ‘bubble’ like outfits. 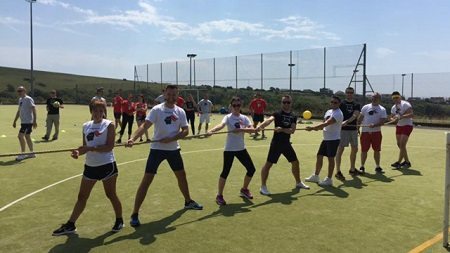 Teams must score as many points as possible to try and win this ingenious edition of the nations favourite sport, football. 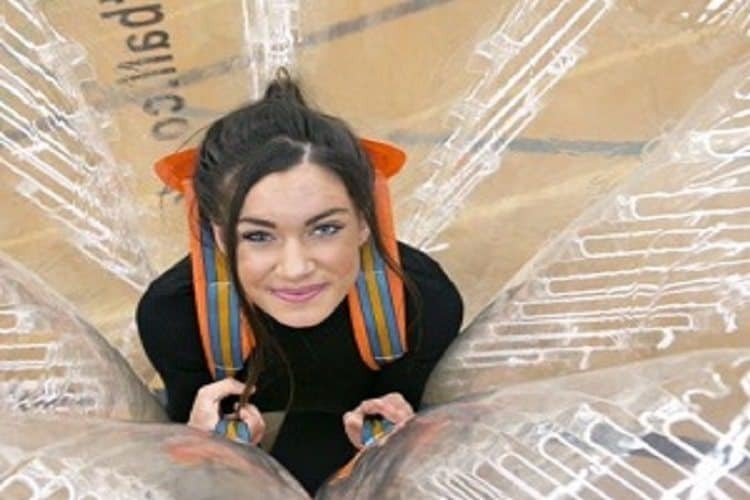 Expect bubble mayhem as teams struggle to stay on two feet let alone score the much needed points for the team. 2. 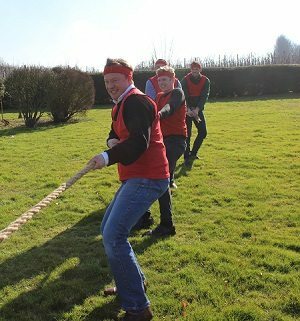 School Sports Day – Arguably our most nostalgic game, our School Sports Day includes all of the classic games from your childhood memories. 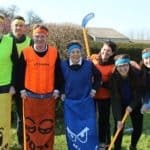 In our team edition we will cover 12 classic sports day games with a knock out style competition. 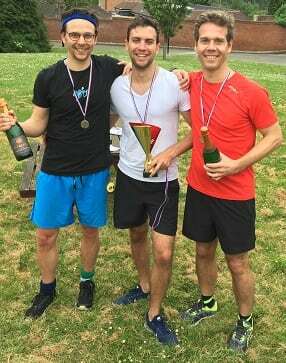 Combine this with a school quiz, medals, team photo and a bottle of bubbly for the winning team, what more could you need? 3. 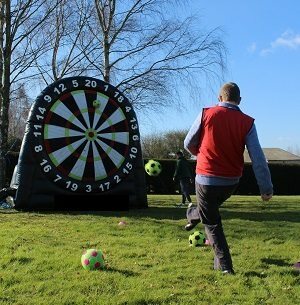 Giant Darts – Activity three involves a combination of football and a British Pub Classic, Foot Darts is a must try activity. 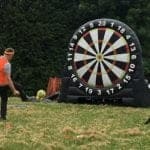 This is the perfect opportunity to test your accuracy and precision and see if your team can hit the ‘ballseye’. 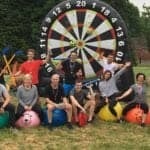 Our giant inflatable velcro dartboard has a great impact as teams try to reach the highest score. 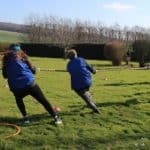 As well as the traditional bullseye there will also be extra tasks to keep everyone active. 4. 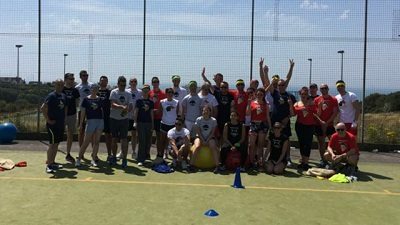 Archery Tag – Archery combat is a hybrid of paintball, archery and dodgeball. 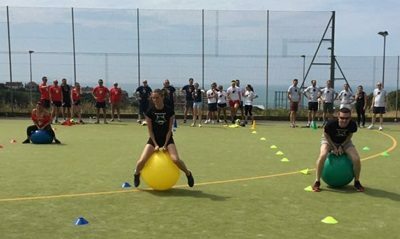 Played similar to Dodgeball but with arrows and bunkers, the object of the game is to eliminate all players in the opposing team by hitting them with an arrow. If a player catches an arrow they can bring one of their eliminated players back into the game. Five target cones each holding a ball are placed in front of the bunkers, the battle then begins. 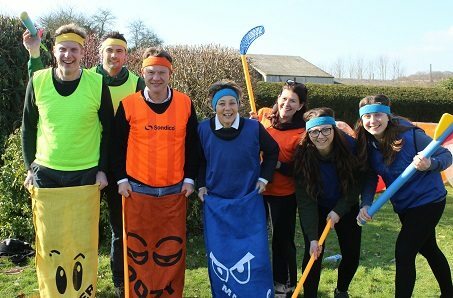 Brilliantly set out for us and such fun – couldn’t recommend enough! 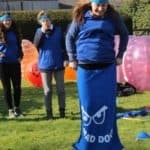 came across Zorb Olympics and this definitely did not let us down. 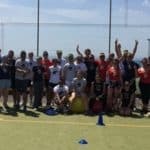 Brilliant fun had by all and they wont stop talking about it. Holy moley that was extremely fun and tiring. 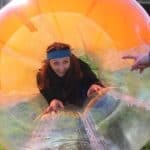 Zorb olympics is so much fun, I cant recommend this event enough.